Last weekend we went on our last camping trip to the south side of Mt. St. Helens to visit the Ape Cave. The Ape Cave is a few mile long lava tube that visitors can walk through. We opted for the “easy” side, which was still pitch black, 40 degrees and plenty challenging enough. 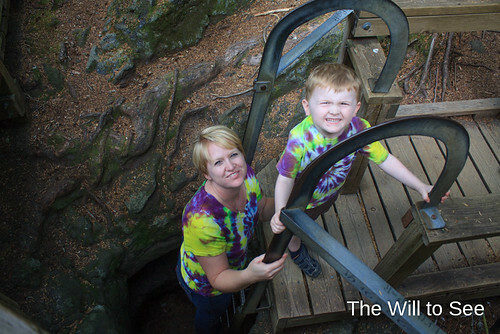 After the cave we went to the Trail of Two Forests that had a mini lava tube that the boys and I crawled through. I still have a bruise on my knee, because you are literally crawling on rocks the whole way.